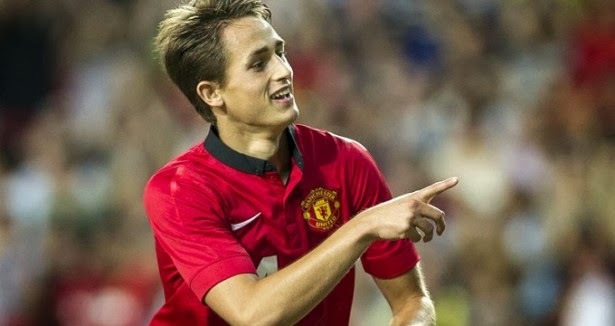 Adnan Januzaj was born 1995th and although has only 18 years already won a place first team member in the Manchester United. This season he was a starter in 16 matches of his team, and three times he enrolled at the scorers. Januzaj has a Belgian passport, but coming from a mixed marriage, many options are open when it comes to the selection of national team for which he wants to perform. Young Adnan can play for Belgium, Serbia, Turkey and even Kosovo, if they get permission FIFA to form a team. However, their chance see even Albanians. Their coach, Dani de Blazi said recently that he and the people in the alliance have not lost hope that one day Januzaj play for their selection, but that is aware the chances of something small. "We did everything in our power, but the main problem is his father, who does not give us any normal response. It seems to me that I could easily get in touch with the Pope Francis, "said coach Albanians. "Right now we do not know where we stand with Adnan. I do not see how it can consent to play for us, " disappointed De Blazi.